The latest issue of the Walter de la Mare Society magazine, no 19, includes a previously unpublished de la Mare story, given by its editor the title ‘Richard’. In his introductory note, Giles de la Mare explains that this was written in longhand in 1901 and a typescript from it was prepared in the late 1940s or early 1950s, presumably with a view to publication, but this did not transpire. There are small gaps in the text, such as incomplete sentences, which he has used his editorial judgement to complete. He describes the piece as having “the same semi-poetic style” as de la Mare’s well-known story ‘The Almond Tree’ and, in a preceding article, he and the magazine’s editor, Emma Close-Brooks, explore some apparent connections with that story and the figure of the Count, who also appears in other de la Mare pieces. However, the newly published work stands perfectly well on its own. At the outset of the tale, Richard is an orphan boy nearly nine who is the heir presumptive to a manor house, The Grange, occupied by his Uncle Henry, an artist and a man possessed of an elusive mystical philosophy. It is the house where Richard’s father lived, and died young, “of want of heart”, we are told, a studiedly ambiguous phrase. One Winter’s eve, with snow covering the land, the boy is taken there to live, from an Aunt’s house, Thorns, where he has grown up. Richard’s cousin Jane, a few years older than he, also lives there, and is a memorable character. When they meet, she remarks in a light but pointed way that she would be the heir if she had not been a girl. She is restless about the choice she can see looming before her of finding a moneyed husband or lingering on alone, to be given, as she remarks bitterly, some attic corner in her old age from the charity of Richard. He is strongly attracted to her, but also a little fearful of her trenchant character. The story is rich with many of de la Mare’s characteristic enigmatic phrases that each seem to convey hidden depths of meaning. Told the boy’s age, his Uncle says, “’Just three times nine of him to futility’.” The Uncle’s hands “were eloquent in their stillness”, a finely observed phrase. At a children’s party, late in the evening, “The candles were low, one or two lanterns without flame. There seemed to be festive witnesses at the door and windows, flocked together out of Time’s hiding-places, attracted to the stir and lustre of our festival.” (I wonder if they were originally “restive” witnesses, and have become “festive” in trying to decipher the handwriting?). The uncle and aunts in this story, though eccentric, are not in the least sinister, as they sometimes are in other stories, yet I think I see a faint harbinger of a key scene in the much-admired and discussed later story ‘Seaton’s Aunt’. Taking Seaton’s guest to his room, the Aunt in that story proclaims: “This is the room, Withers, my brother William died in when a boy. Admire the view!” Similarly, in ‘Richard’, the young heir, introduced to his room, is told, “In this same bed, you remember, your dear father used to sleep, and there he is, looking out, who knows how far, across the snowy garden.” It is a portrait that looks out, but even so we feel the suggestion of a continued presence. And “dear” is of course only one letter away from a colder word. In one sense, the story is about the emerging relationships between the various occupants of the house. There is very little overt incident and such as there is, is in a minor key. Yet they all have an intricate inner life, revealed in passages of elliptical dialogue, and they are haunted by a certain brittle apprehension of fate. In commenting on ‘The Almond Tree’, several times rejected by publishers, de la Mare noted, “it’s the flavour of the thing I swear by, atmosphere—what you will. If a story has that . . .” That is clearly the quality he was seeking for here too, and he certainly succeeds. As often with de la Mare, there is no definite resolution at the end of the tale, and indeed the editors speculate that it might have been intended, with other pieces, to be part of a novel. Nevertheless, the story as we have it is beautifully subtle and strange and presages many of its author’s preoccupations in later stories, with childhood, solitude, time, transience and age. It is a story we must be very glad has been retrieved. 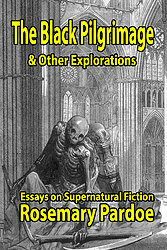 The Black Pilgrimage & Other Explorations, essays on supernatural fiction by Rosemary Pardoe is a much-anticipated collection of her non-fiction by a leading authority on the Jamesian ghost story. The author is often much too diffident about her contribution to the supernatural fiction field and to the small press world, but, as David Sutton notes in his introduction, which gives a useful summary of the author’s writing and publishing work, Rosemary has been active in fanzines for nearly fifty years, and has edited Ghosts & Scholars, the highly respected M R James periodical, in various forms, for nearly forty years. 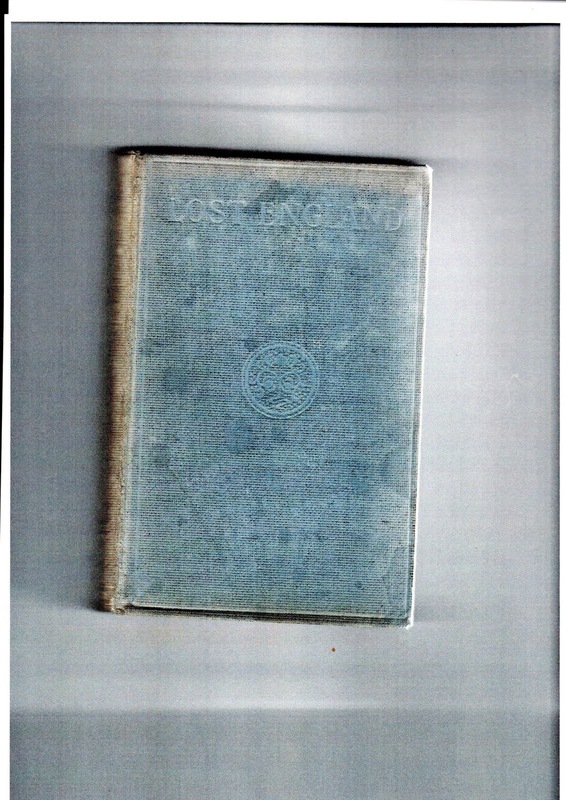 This volume is therefore the fruit of a lifetime’s devotion to the traditional ghost story (and allied themes), and offers a very generous contents list, with twenty-nine essays on aspects of James, eight essays on his followers, including E G Swain, Arthur Gray, A P Baker and Fritz Leiber, and nine shorter pieces on various subjects which originally appeared in contributions to the postal discussion group The Everlasting Club. This promises to be an erudite, lively, lucidly written and fascinating book, with unexpected and illuminating insights into aspects of M R James’ stories, and a great deal of other out-of-the-way information. Who could possibly resist such titles as “Scrying and the Horse-Demon”, “The Magic of Maps”, “’Fluttering Draperies’: The Fabric of M R James” and “The Night Raven”? Here the reader will find pagans and magicians, demons and hobby horses, arcane grimoires, sequestered places, and many other strange byways, all explored in a robust and refreshingly direct way by an author who has quite rightly ignored all the warnings and is perfectly willing to be curious about almost anything, particularly if it is shadowy or peculiar. The tone of P M Hubbard’s first novel, Flush As May (1963), is not dissimilar to the donnish detection novels of Edmund Crispin and Michael Innes: it has the same wit and intelligence and breezily extravagant plot. 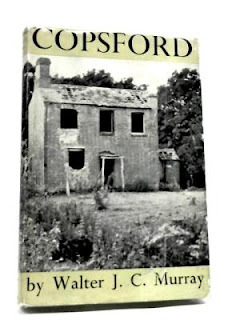 There are also some conventional figures of the crime novel – a retired Chief Constable, a shrewd older woman, a vague vicar, and several cranky rustics. The plot, involving a missing body, is also fairly familiar. The young woman and her suitor who stumble upon the mystery, and are undaunted by the dark undercurrents when they begin to look into it, are bright, well-developed characters, rigorous in their thinking. But although the two main protagonists of his book are Oxford undergraduates, town and gown scarcely feature. The setting is mostly in an obscure country village, which seems to be in the Wiltshire Downs, and there are hints from quite early on that this place still observes some clandestine pagan practices. This is again not all that unusual in the field: Gladys Mitchell often features witchcraft, folk customs and ancient sites in her books, and others have done so too. However, P M Hubbard’s depiction of the village secrets is subtle. 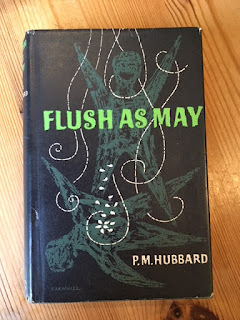 Flush As May shows, especially for its time, a surprisingly deep understanding and a certain sympathy for the older religion, and this was to become a hallmark in several of his subsequent novels. There are several ways in which this shows in this book. The first is that it describes very closely a traditional, hereditary witch coven, with its Maid (the matriarchal head), and observance of seasonal customs – Beltane, Lammas and Hallowe’en are specifically mentioned. I think it is likely that the author drew upon Gerald Gardner’s books on witchcraft, such as Witchcraft Today (1954) and The Meaning of Witchcraft (1959), which were published not long before, although not all that well-known. It is now not generally accepted among historians that any witchcraft coven survived in Britain from pre-Christian times, though there is evidence that particular pagan practices may have done so: it is therefore unlikely Hubbard had personal knowledge of any such group. However, he was clearly well-informed, and this is evidence of a more than passing interest. The second is that Hubbard describes a network of ancient pathways radiating from a high prehistoric earthwork, The Beacon, and his heroine follows step by step one of the alignments converging on this, starting at a church on a mound, and walking the line through other significant landmarks, such as an ancient wood, a ford, and the north door of another church, up to the hilltop. It is perfectly clear that he is describing a ley line and indeed a character refers, without naming him, to Alfred Watkins and his book The Old Straight Track: its mounds, beacons, moats, sites, and mark stones (1925), the work that began the ley theory. 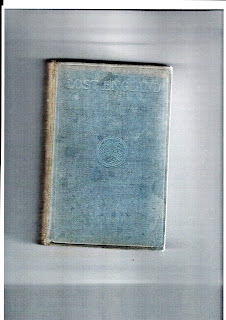 This again reveals a marked esoteric knowledge on the part of the author: ley hunting did not become better-known until the mid-Sixties, when books and journals began to appear about it; the first issue of The Ley Hunter journal was in April 1965. The author evidently knew about leys before then, and sufficiently well to describe them compellingly, six years before John Michell’s milestone book The View Over Atlantis (1969) made them better-known. Further, he even anticipated the mystical dimension to leys that the sixties brought. This is not to the fore in the Watkins book at all; he thought of them as traders’ tracks. It is possible, therefore, that P M Hubbard is a previously unacknowledged pioneer of the idea that leys had a sacred dimension. Taken together, these themes from Gardner and Watkins suggest that P M Hubbard had at least looked into these matters quite keenly, and thought them through for himself. There are also some minor clues about the extent of his interest. He alludes to an incident in the history of the Avebury stone circle that later forms the fulcrum of another, also highly pagan, novel, The Dancing Man (1971): this shows that he was thinking about this some time before he wrote that book. In Flush As May, he describes the ancient mound on which the village church stands as “the green round” – a phrase used by Machen for the title of one of his books, involving fairy lore: and we are also told one of Hubbard’s characters has “fairy blood” in her. He may have got these ideas from somewhere else, but since The Dancing Man shows an even stronger likely Machen influence, we may have here a clue that he was already reading him at this stage. There is therefore not much doubt at all that the author had a strong respect for the pagan old religion he describes. Indeed, he even upends the usual expectations of the detection novel, so that the secret faith of the village may continue undisturbed. He is not an overt apologist for this faith, but clearly understands its allure. P M Hubbard’s book is, for its time, a remarkably sophisticated and shrewd portrayal of modern paganism, and it was to be followed by others equally rich in their use of archetypal images. This note originally appeared in a contribution to a mailing of The Everlasting Club, a postal discussion group for supernatural fiction.